It's been more than 10 years since I came back to Sentosa and amazing a lot has changed. The beaches are much cleaner and more fun these days. 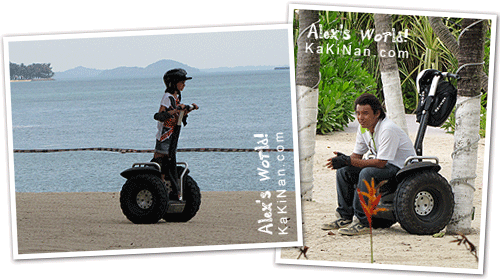 I've also captured some riders trying out the Segway PT in the photos below. Who say you can only operate these electric vehicles when standing. They are great for resting too! I've been wondering that maybe it's time I try the SEGWAY; is it easy to get around with? As for the bridge and sand, they seem great. How 'bout that! A Segway Saturday coming up after some Satay. Great shot. The day I was there it was overcast so this gives me a new way of looking at it. That first shot is beautiful. Look like a lovely spot. 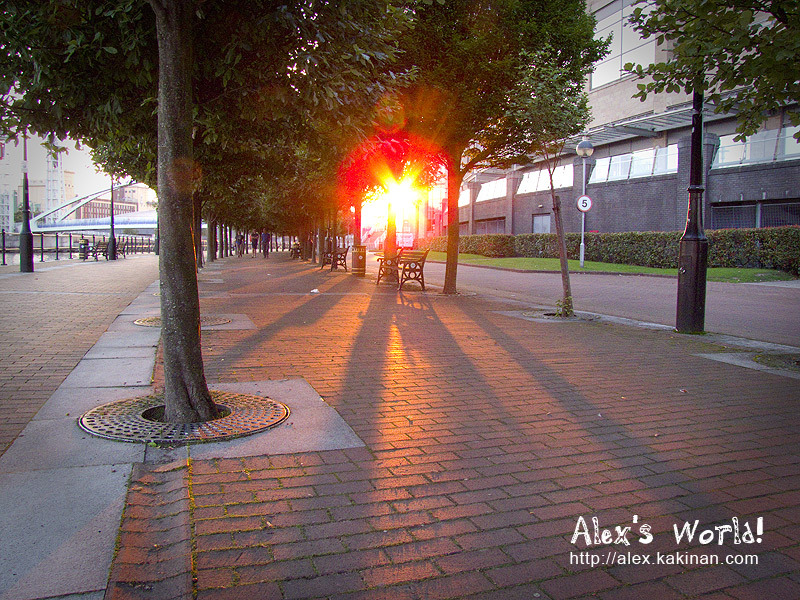 Terrific captures, lovely skies, Alex! Have a great weekend! I love that hanging bridge. I wished I'd crossed that when I got the chance. Enjoying your visit? the hanging bridge looks cool! enjoy the V-day weekend! Beautiful shot. I love the way the bridge looks. I think I'd go for sitting down on that vehicle too. I really wanne be there in the sun! Great shots! 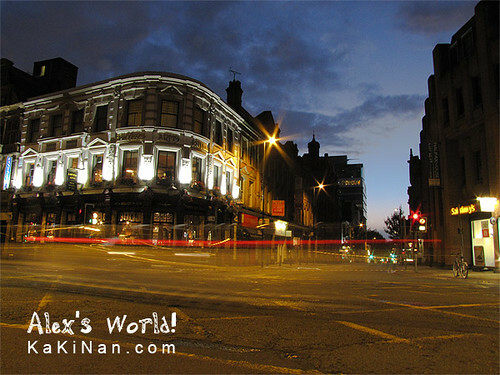 Alex: What a fun place to visit, it is fun to go home. Nice, peaceful shot. Wish I could stand there and admire the scene. Glad to hear that things are cleaner on the beach. Looks like a beautiful place to visit and those segways are alot of fun. Segway are weird in the first place, but at the beach...?! Oh! A place I'd love to visit. Beautiful. That looks like a handy thing to have a bike and chair too. A real paradise you have there. Lovely view of Sentosa. I was there just over 17 years ago, watching the water show, and the New Year was just getting under way then too. I loved Singapore and would love to come back one day. That is one incredible place. That child has one incredible set of wheels. Singapore is changing all the time and I bet you enjoyed your stay in Sentosa huh? 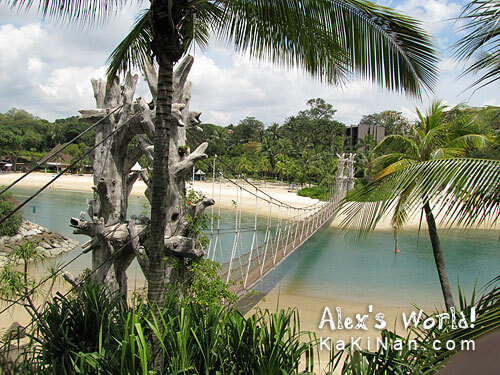 Sentosa looks like such a beautiful place!